Gray wolves used to be the most numerous species of any mammal other than humans. While they are now endangered in many areas due to historical eradication attempts, the gray wolf is making a comeback in the Rocky Mountain region because of wildlife biologists' work to re-establish the species. 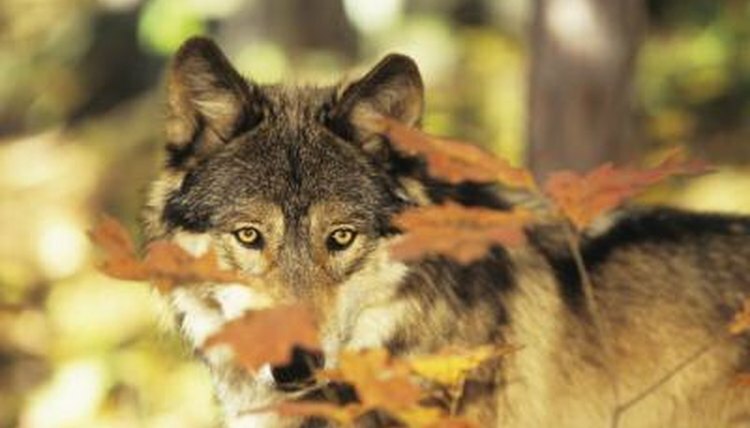 Much of the gray wolf's resilience has to do with its adaptability. As the ancestor to the dog, you can today see why wolves are making a comeback. A wolf's feet are built for travel. They have five toes on the front and four toes on the back feet. Their claws provide traction along with their fleshy pads, providing the ability to grip on slippery surfaces. Their feet also can fan out, snowshoe like, enabling them to travel through deep snow. They can run nearly 40 mph and can travel distances of more than 18 miles at a quick trot. A wolf's jaw can clamp down with the force of 500 pounds per square inch or more. Their canine teeth can tear into flesh and puncture thick ungulate hides. Their back teeth can crush bones. Wolves can eat as much as 20 pounds of meat in one meal and can go for two weeks without eating. Their small intestine digests most of the meat, allowing them to store great quantities of food in their stomach. The wolf's sense of smell is 100 times better than that of a human. Their hearing so great that it is 20 times better than the best human ears. Their vision is great at night, but they can't see color as well as humans can. Their vision is developed to pick up on motion so they are very sensitive to movement. The gray wolf's undercoat is thick and woolly, which provides excellent insulation against the cold. This coat is oily and is waterproof. Their guard hairs provide protection against moisture by shedding rain.